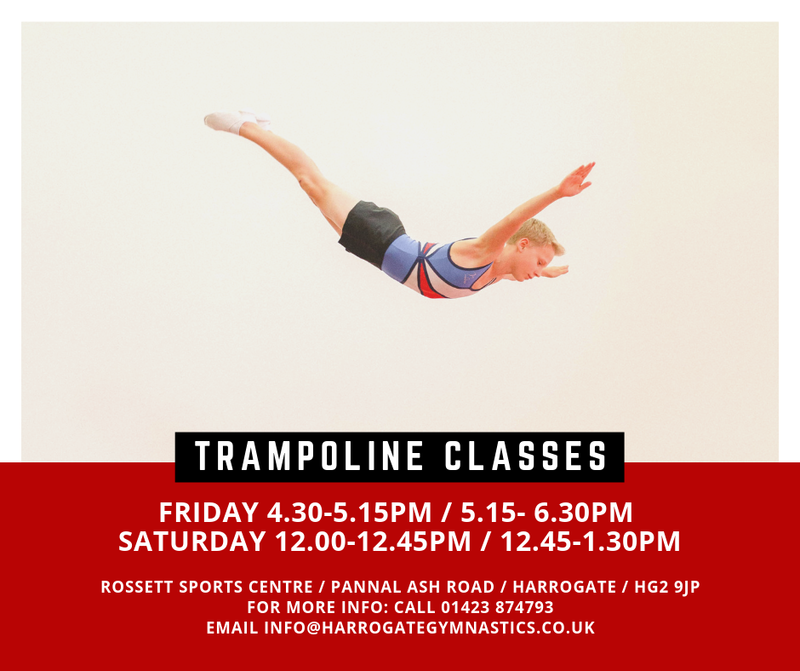 The only purpose built gymnastics facility in the Harrogate area. We offer lots of holiday activities which you can see details of below. Payment is required at the time of booking for all our holiday activities (except Open Gym). In order to make a booking please send us an email using the contact form HERE. The trampoline program is expanding with a brand new satellite venue!! All of our new sessions below will take place at our new satellite venue at Rossett sports centre. The new session times are available from May 3rd and are for children aged 5+. If you would like to take up a space in one of the above classes please email or call to book, with your child’s name, date of birth, and a contact number for yourself. Please note payment for the first month is required at the time of booking. Please write your query here.